Make learning the CH digraph fun! Make the sounds like a choo-choo train. These offer easy practice of CH words for your children as review activities or worksheets for the digraph CH to assign as homework. and fourth through sixth grade. The first page has words that start with CH and words that end with CH. The second page has words ending in CH and TCH. The third page has more words to copy plus space for two of your own words for dictation. 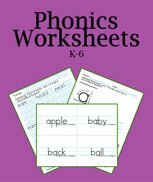 Use these worksheets with your phonics book to review the sounds and the rules. Teach the CH digraph and then dictate the sound so your children write the letters as they write /ch/ sound. 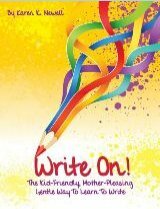 Once your children can write CH when they hear it, practice the three sounds and then use the CH worksheets for practice. In English it's easy for kids to remember the pronunciation, if you treat the three sounds like the sound of a train starting: ch-k-sh; ch-k-sh; ch-k-sh. If you're using these as ESL phonics worksheets, you'll want to take a moment to be sure the children can make the hard or first CH sound. Many times, as with French and Spanish, the children might already say the soft CH sound for the exact same spelling especially in several French words. See examples below. 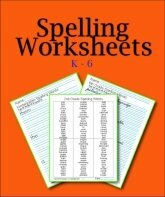 We have worksheets for SH, TI, SI, and CI words, too. 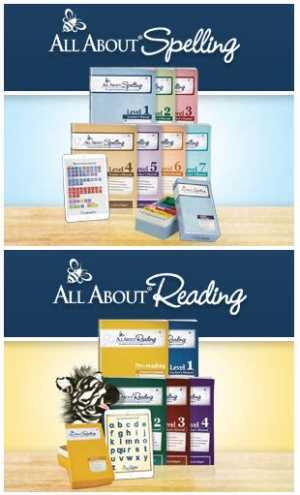 K123 CH Worksheets Large Font Worksheets - K-2, print 2-up for high school. 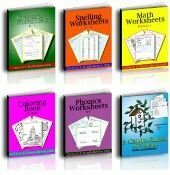 Third Grade CH Words Small Font Worksheets - Grades 3-6+. 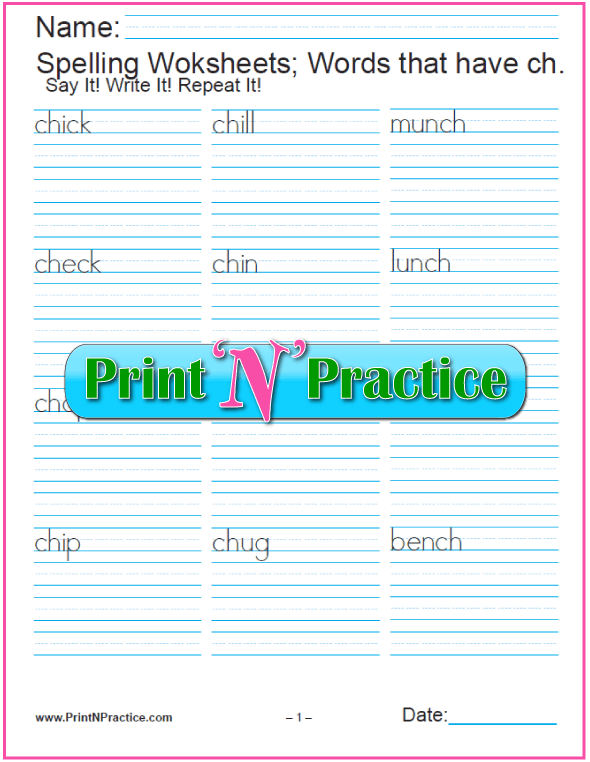 After teaching the CH digraph, dictate these words for your children to write into their notebooks or on paper. The main thing is to have practice writing CH "by ear". The CH words worksheets above are great for review, but do some dictation using these words, too. By the first, second and third sounds of CH. By beginning and end of words. chap – This little boy is my chap, a real friend. check – Check that your shoes are tied. chip – Would you like a potato chip? chop – Chop the carrots for the salad. chug – Do not chug your drink too fast. Many of the CH words that use the second sound were ancient Greek words. chaldron – A chaldron is a large pot. character – A character is a mark or a person in a story. chasm – A chasm is a wide hole in the lang. choir – My sister will sing in the choir. chord – Can you reach a chord on the piano? Chrism – Chrism is made of olive oil and balsam. Christ – Jesus Christ is God's anointed One. Christian – Is the United States a Christian country? Christmas – Christmas is Jesus' birthday. chrysanthemum – Plant the purple chrysanthemum in the garden. school – We start school in September. These few words are derived from French. chambray – Chambray is a cotton weave with white threads. champagne – Champagne is a drink like wine from France. chandelier – A chandelier is a big lamp with many lights. chaparral - A chaparral is a dense thicket of small trees. chapel – A chapel is a small church. chaperone – A person who escorts an unmarried lady. charade – A charade is a guessing game with acting the part. chauffeur – The chauffeur drove the limousine to the door. chef – The chef cooks at a fancy restaurant. Chicago – Chicago is a windy city. chivalry – Chivalry asks that you be polite and helpful to everyone. chute – The cowboy chased the horse down the chute. machine – Mom makes dresses with a sewing machine. Michigan – Lake Michigan is west of the state of Michigan. chaff – The wind will blow the chaff from the wheat. chain – He towed the truck with a chain. chair – Sit in the chair by the table. chalk – The teacher wrote on the board with chalk. 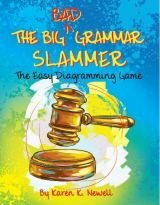 champ – The winner of the race is a champ! chance – There is a chance of rain this evening. chant – A chant is a rhythmic song or poem. chaps – Cowboys wear leather chaps over their jeans. char – A fire will char the wood like charcoal. chard – Chard is a vegetable like a beet. charge – What did she charge for her work? charm – My sister has a charm bracelet. chase – The dog will chase the cat. chat – A chat is a nice visit. check – Check to see if you need a coat. chess – Would you like to play a game of chess? chest – Put the blanket in the chest. chew – Our dog likes to chew on a bone. chick – The mother hen watched her chick. 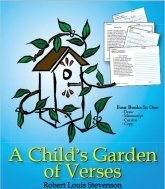 child – They have a child in first grade. chill – Warm yourself by the fire to take away the chill. chimp – There is a chimp at the zoo by the monkeys. chin – I wrapped the scarf around my neck and over my chin. chip – Chip the ice carefully off the windshield. chock – Chock the wheels with a wooden block. choke – Too many weeds will choke the garden. chop – Chop the weeds when they are small. chore – Weeding is a garden chore. chug – I could hear the tug boat chug up river. church – Pray well in church on Sunday. Here are several long vowel words that start with CH with sentences. chafe – New boots may chafe your ankle. chain – The farmer pulled the log with a chain. cheese – My cat loves cheese. chief – The fire chief put out the fire. chime – I could hear the door bell chime. These are long vowel words that end in CH. each – Mom loves each of her children. peach – A fresh juicy peach is delicious! preach – The new priest will preach on Sunday. reach – Can you reach the salt for me? teach – She will teach the class their math. The rule is that when CH follows a short vowel it uses TCH or another consonant like the blend NCH does. NCH is not a phonogram as the N still says /n/ and the CH says its sound. We do blend the sounds together. There are very few single short vowel words that end in CH. much – To whom much is given, much is expected. rich – Pecan pie is a rich dessert! such – Spring is such a fun time of year. which – Which do you like: apples or oranges? Short vowel CH words generally use TCH or the blend NCH. Watch is in this list too, even though the A says its third sound. Check our phonics worksheets page for our trigraph TCH printable worksheets. bench – Put the tools on the bench. botch – Bumping the picture will botch his drawing. challenge – Challenge yourself to work faster. chamber – The committee met in the chamber room. champion – A champion works hard to win. chantry – A chantry is an endowment for the chanting of Masses and prayers. chapel – A chapel is a small church or place to pray. chaplain – The chaplain will preach in the chapel. chapter – I read the first chapter in my book. charcoal – Put the charcoal in the grill. charity – Charity is Christian love of God. charter – A charter is a written law or permission. cherry – Would you like a sweet cherry? chicken – Mom makes the best fried chicken. children – Good children are a joy to their parents. childhood – God blessed him with a happy childhood. chimney – The smoke rose through the chimney. chimpanzee – The big chimpanzee has a banana. chocolate – She made a big chocolate cake. lunchbox – Put the apple in your lunch box. sandwich – Do you have a sandwich for lunch?